Chef Pierre A. Richard, born and raised in Moncton N.B., developed a taste for the culinary arts at an early age. Under the guidance of his mother, he joined in planting, cultivating and finally the harvesting of the family garden. The garden's offerings became a pallet for Pierre in the family kitchen, resulting in him being responsible for the preparation, cooking and serving of family meals several days a week. Coupled with this experience, and a desire to expand his horizons, Pierre sought summer employment in the culinary field in local restaurant kitchens. Pierre relocated back to Saint John N.B. in 2006, working in several local restaurants until he gained employment as Chef de Cuisine at Opera Bistro. Under the tutelage of Master Chef Axel Begner, Pierre matured as an up and coming culinary force. 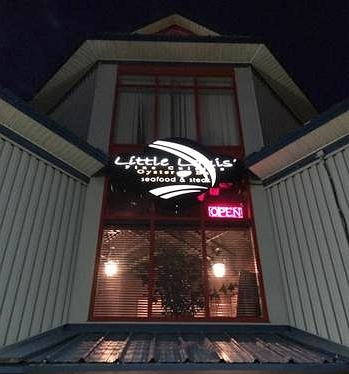 An opportunity to move back to Moncton was eminent as he had an opportunity to join the kitchen brigade at one of Atlantic Canada's award winning and premier restaurants, Little Louis’ in Moncton, N.B. as Sous Chef. Pierre’s kitchen contributions of promoting local product and unique taste completed the quality required in the kitchen by then Chef Andrew Stevens. This teamwork and artistry resulted in Little Louis’ being awarded Four Diamond Restaurant status by AAA/CAA. This award was in addition to the internationally recognized Wine Spectator Award, among numerous others. support of local food stuffs, can also be seen foraging the fields, marshes and forests, acquiring common and unique natural ingredients to introduce in his creative recipes. His innovative creations has led to the University of Guelf awarding him Gold status two years running and one silver in competition for “Good Food Innovation”. The crowning award was an invitation to the prestigious James Beard House in New York representing Canadian menu where his Atlantic Provinces dishes were greeted with admiration and accolades. Pierre also has organized and participated in local and New Brunswick festivals, promoting regional dishes and the up and coming regional Chef’s. Recently Chef Pierre has accepted invitations to cook for some of the top V.I.P.’s and Chefs in Montreal and New York with a resounding acknowledgement of his ability to invoke unique flavours and artistic presentation. At Little Louis’ Chef Richard is at home with his hand picked kitchen team, creating exquisite flavours and aromatic experiences, with his Modern French Cuisine offerings featuring local products that has maintained and enhanced the Little Louis' dining experience.